Black Iron Inc. (TSX: BKI) (OTC: BKIRF) (GR: BIN) is a Canadian iron ore exploration and development company advancing to production its wholly owned Shymanivske Iron Ore Project, located in Krivyi Rih, Ukraine. 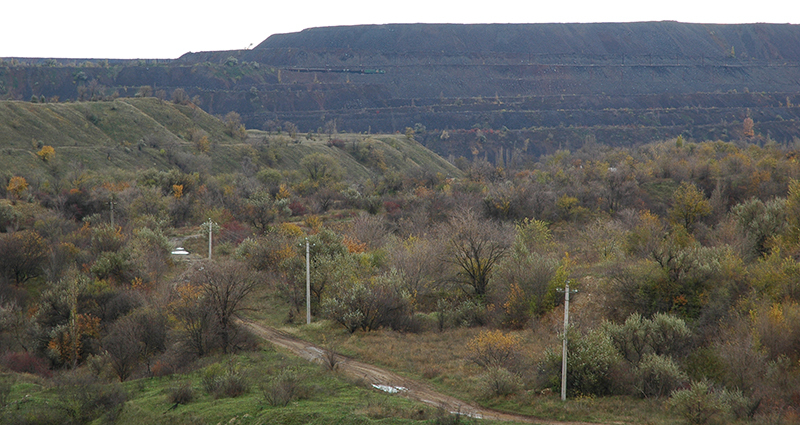 Black Iron’s Shymanivske project is situated in the southern part of the historic KrivBass iron ore mining district, a highly developed iron ore mining region with well-established infrastructure and nearby skilled labor forces. Surrounded by seven producing iron ore mines, the Shymanivske project will produce an ultra-high-grade, 68-percent iron ore concentrate with few impurities at very low cost. Iron ore concentrates are one of the essential raw materials used by the steel industry to either make sinter or highly valued pellets. Black Iron’s concentrate can be used in either application and is an ideal source to make pellets since it does not need to be ground finer and contains very few impurities. According to the CRU Group, an internationally recognized top global business intelligence provider and consultancy specializing in commodities, there is a growing global shortage of pellet feed resulting in a supply/demand gap of 133Mt against the current base of approximately 400Mt consumed by 2035. According to a recent report issued by Zion Market Research, the global iron ore pellets market was valued at around US$25.22 billion in 2017 and is expected to reach US$50.12 billion by 2024, growing at a compound annual growth rate (CAGR) of 8.1 percent between 2018 and 2024 (http://nnw.fm/2vaDR). Countries around the world, most notably China (http://nnw.fm/Je8gs), have instituted regulatory changes to curb polluting emissions from steel mills through numerous methods, including encouraging a shift to higher grade iron feed products such as pellets as less coal needs to be burnt per ton of steel produced. Black Iron’s Shymanivske’s project, which is expected to produce ultra-high-grade 68 percent iron content pellet feed iron concentrate, is generating significant interest from steel mills and global commodity trading houses. Use of ultra-high-grade 68-percent iron content product in the production of steel is a value-added product to customers since it increases blast furnace productivity and reduces greenhouse gas emissions generated per ton of steel produced. The project’s proximity to rail lines (1 mile), electrical power (20 miles), sea ports (140 to 260 miles) and a skilled workforce (6 miles) significantly reduces the up-front construction costs and allows for the mine to be built in a phased approach. The Shymanivske project has been ranked by the CRU Group in the lowest position of the business cost curve for pellet feed projects currently under development and as the second lowest in capital intensity (construction capital divided by annual production) within CRU Group’s extensive database (http://nnw.fm/3MXsT). This low-cost position makes the project economics very robust to any shocks in iron ore price while providing a very high return at current and forecast prices. Black Iron continues to advance its project on several fronts including construction funding and off-take agreements (http://nnw.fm/tQ4g2). 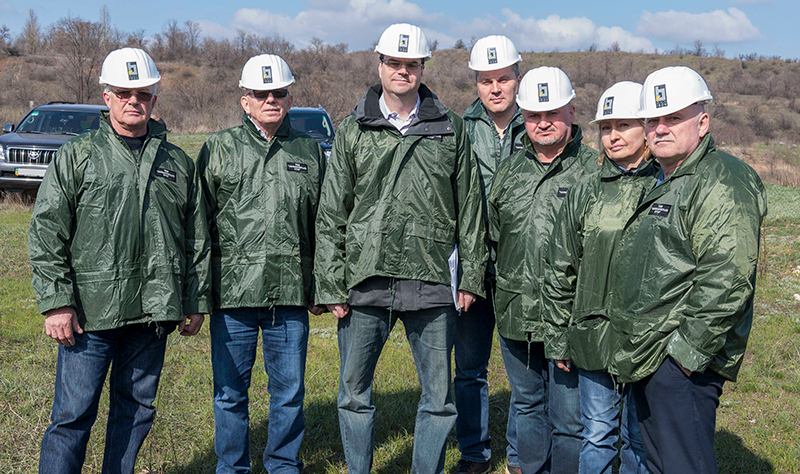 Discussions with Ukraine’s Ministry of Defense to transfer a parcel of land required by the company for location of its processing plant, waste rock and tailings are nearing finalization, as are discussions with the Kryviy Rih City Council to lease a portion of the surface rights currently under that body’s control. The recent engagement of Ivan Markovich as Black Iron’s Vice President of Government and Community Relations will assist the company in these endeavors given his extensive network of relationships with senior Ukraine government officials. The Shymanivske project holds a mining allotment permit for a large iron ore deposit with a NI 43-101 compliant resource estimated to contain 646 Mt (million tons) Measured and Indicated mineral resources, consisting of 355 Mt Measured mineral resources grading 31.6% total iron and 18.8% magnetic iron, and Indicated mineral resources of 290 Mt grading 31.1% total iron and 17.9% magnetic iron, using a cut-off grade of 10% magnetic iron. Additionally, there are 188 Mt of Inferred mineral resources grading 30.1% total iron and 18.4% magnetic iron. Full mineral resource details and project economics can be found in the NI 43-101 compliant technical report entitled “Preliminary Economic Assessment of the Re-scoped Shymanivske Iron Ore Deposit” effective November 21, 2017, under the Company’s profile on SEDAR at www.sedar.com. Black Iron’s management and board of directors is stacked with experts well-versed in successfully building and operating iron ore projects. CEO Matt Simpson, P.Eng. is the former general manager of Mining for Rio Tinto’s Iron Core Company of Canada and worked for Hatch designing global metallurgical refineries. He is also a Qualified Person as defined by NI 43-101. Chairman Bruce Humphrey is the former COO of GoldCorp and former chairman of Consolidated Thompson Iron Ore mines which was sold to Cliff’s resources for US$4.9 billion. Les Kwasik, COO, has over 40 years of hands-on experience building and operating mines globally with companies such as INCO (VALE) and Xstrata (Glencore). Paul Bozoki, CFO, is the former CFO of CD Capital Partners, operating in the Ukraine. Bill Hart, senior vice president of corporate development, has over 30 years of experience selling iron ore while working for Rio Tinto, Cliffs Natural Resources and most recently Roy Hill Holdings Ltd. Ivan Markovich was recently engaged in the capacity of Black Iron’s vice president of Government and Community Relations to leverage his extensive network of relationships with senior Ukraine government officials. Shymanivske Project is a world class, high-value, low net cost project offering an ultra-high-grade iron ore concentrate (68% Fe) at low capital cost intensity (<US$100 per ton of capacity). Excellent infrastructure with paved road to site, confirmed power, rail and port capacity allows for a relatively low cost and phased build. Large iron ore deposit with NI 43-101 Compliant Resource: 646 Mt (million tons) Measure and Indicated resource @ 31.6% iron; additional 188Mt Inferred resource @ 30.1% iron, which will be concentrated to ~68% iron. Phased build starting at 4 Mt and growing to 8 Mtpa; using $62 per ton long term benchmark selling price results in pre-tax NPV of US$2.1 billion at 10% discount rate and 43% IRR (US$1.7 billion and 36% after-tax). Iron ore currently selling for well above this price at mid $70 per ton. Strategic location with underdeveloped resources; close to target markets in Europe, Turkey, Middle East, Asia. Skilled management team, directors and board with history of creating value for shareholders of iron ore projects.